Welcome to ConfectionAffection.net, the Online Shop of Confection Affection. We are not just a warehouse shipping our goodies, we are a real Shop, in a real Town, with a real Customers and real Staff! We know what people like, because we meet people and serve customers every day. 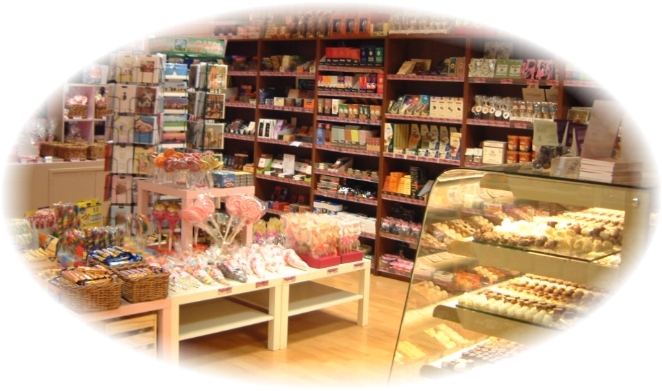 We also know that everyone can't be lucky enough to visit us in person, so we put some of our best products here, in our Online Shop, so everyone can enjoy our gorgeous range of scrumptious treats! Based in Stroud (a Fairtrade Town) in the heart of Gloucestershire, our shop started trading September 2007. You can find out more about our shop at www.confectionaffection.co.uk. At Confection Affection, we are passionate about excellent Customer Service, providing a wide variety of quality confectionery products at a fair price. Our customers are at the heart (and taste buds) of what we do. We have treats and yummy things for everyone, including Gluten Free, Sugar Free, Dairy Free, Organic, Fairtrade, Vegetarian and Vegan ranges.